IT'S the first day of parliament in 2019, and both sides of politics are under severe pressure over the medical transfer of asylum seekers. Follow all the latest news live. Mitchell Dye, the Q&A audience member Labor Senator Kristina Keneally labelled a "Young Liberal Plant" after his appearance on last night's episode, has hit back at her. Mr Dye asked the panel about Labor's controversial franking credits policy. "According to media reports, in Sarah Henderson's ultra-marginal seat of Corangamite, over 9000 voters could see their bottom line made worse off by Labor's proposed changes to franking credits," Mr Dye said. "Is Labor so confident of winning the upcoming election that it doesn't need these 9000 votes or essentially, are changes likely to be on the cards?" Ms Henderson responded by calling the policy a "terrible breach of trust" and an "appalling theft of older Australians' money". "Labor intends to steal this money from older Australians," she said. Ms Keneally criticised Ms Henderson's argument, and later posted this tweet calling Mr Dye a "plant". 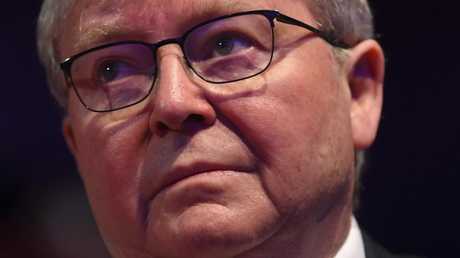 "I am incredibly disappointed that Senator Keneally feels the need to attack me rather than talking about the issue of franking credits," Mr Dye told news.com.au this morning. "I came to Q&A last night because I chose to - not because someone wanted me to be a 'plant' - after my brother was invited to the show by the producers. "I submitted a number of questions to the program that I wanted answers to - some were critical of the government and some the opposition. "I wrote all my own questions and did not get any advice from anyone else about what to ask. Ultimately this was the question that the producers chose to run." Mr Dye said the show's producers had called him during the day and he was "fully upfront" about his political allegiences. "In my work as a volunteer community radio presenter around the electorate of Corangamite, I speak to politicians from all sides. I welcome the debate," he said. "We all have our own political views but I stand by my strong track record of being fair and balanced on Geelong community radio and welcoming to all sides. "Just this morning I welcomed both Sarah Henderson and her opponent Libby Coker onto my show and both were given the opportunity to present both sides." He said his question "was aimed to facilitate a discussion about the electoral impacts" of Labor's policy in the marginal seat. "It's a real shame that the Labor senator is more interested in attacking a regular citizen and volunteer community radio presenter rather than talking about this issue and the people potentially affected by Labor's policy. "I would like to see a higher standard of political debate where we talk about the issues rather than attacking each other personally, and it's a dreadful shame that this wasn't achieved on this occasion despite my best intentions." Scott Morrison just addressed his party room meeting, giving his MPs the traditional gee-up speech. "Australians are strong. Australians are resilient. And under our government we're going to continue to make Australia strong," he said. "A stronger economy, stronger borders, stronger services. That's a strong Australia, and that's what we're about. "Our opponents have plans that will make Australia weaker." There was a lovely moment as Senator Arthur Sinodinos, who is returning to parliament today having recovered from cancer, rose to his feet and urged his colleagues to believe they could win the election. "My only other plea is Michael McCormack, no more singing," he added. On that note, I'll just leave this image here. 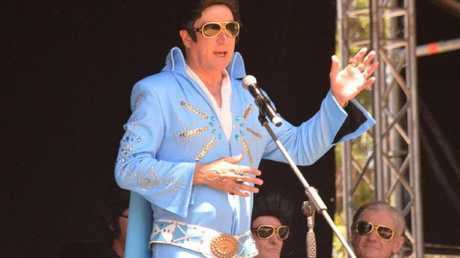 Nationals leader Michael McCormack at the 2019 Elvis festival in Parkes, NSW. Shadow Immigration Minister Shayne Neumann says Labor is happy with its discussions with the crossbench. "They have come with goodwill in relation to this matter. We are pleased that we're working constructively in relation to these matters and we'll have further discussions today," he said at a doorstop this morning. "This is about making sure that people get the medical care they need, and the government's lies in relation to this matter are impalpable." Mr Neumann also confirmed Labor would push for parliament to schedule extra sitting weeks. The Sydney Morning Herald reports Greens leader Richard Di Natale has apologised to former prime minister Kevin Rudd for calling him a "sociopath" on Q&A in December. "I unreservedly retract the suggestion that you are a sociopath," Dr Di Natale wrote in a letter to Mr Rudd last week. "I realise that this is a serious slur on your reputation as it is a clinical condition of a mental illness." 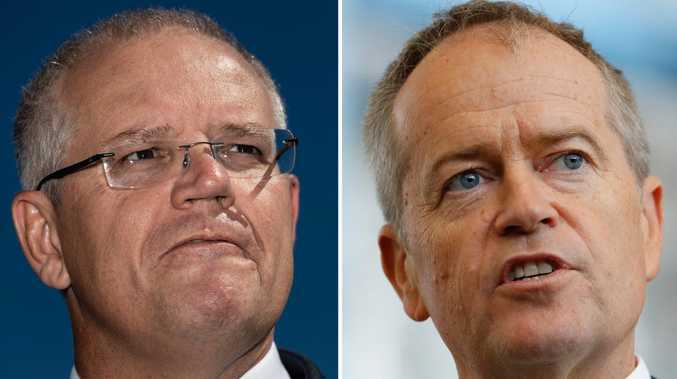 The major parties are at odds over legislation that would make it easier to cancel the Australian citizenship of dual nationals convicted of terror offences. "You don't make Australians safer by passing laws that don't work," Shadow Foreign Minister Penny Wong said this morning. Labor members of the federal parliament's intelligence and security committee are taking the unusual step of issuing a dissenting report on the proposed anti-terror powers. Late last year, Mr Dutton stripped Neil Prakash of his Australian citizenship and declared the Islamic State terrorist wasa citizen of Fiji. Ms Wong said the minister failed to consult with Fijian experts and his unilateral declaration had "no basis in fact". Ms Wong also took a swing at Scott Morrison for using "fear" on security issues to sway voters. "Fear is all he has left." 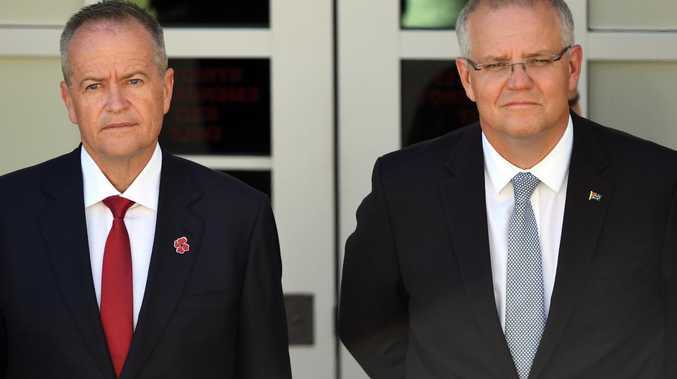 Scott Morrison and Bill Shorten started the day by going to church together, but the brief moment of peace didn't last long as politics intruded. Both leaders did quick doorstops outside the church afterwards - standing in literally in the same spot, and within seconds of each other. The Prime Minister said he had made it clear the asylum seeker bill was "acceptable in no form". "That matter will be determined I assume later in the parliament today," he said. "We will not be giving any comfort or any license for the parliament to support this in any way, shape or form. "This bill is acceptable in absolutely no form, it only weakens our borders." Mr Shorten said the government was confusing stubbornness with strength. "It is possible in Australia to have strong borders without treating people cruelly," he said. "What I've done is listen to the border experts and listen to the refugee advocates. I think this is not an issue that should be dividing the nation. "It's as simple as this. If you need to see a doctor to you go and check with the government minders, or do you check with the doctors?" Both leaders spoke warmly of Thailand's decision to free refugee footballer Hakeem Al-Araibi and praised all the Australians who fought for him. Kerryn Phelps spoke to Sky News this morning and said she would consider Labor's new position on medical transfers. 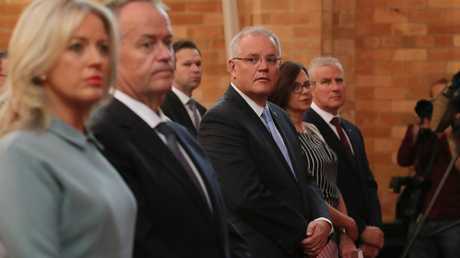 "We have to have a very careful look," Dr Phelps said, indicating she might support "small tweaks" to the bill to make it acceptable to a majority of parliamentarians. She was open to extending the amount of time the minister would have to consider a transfer recommendation, provided it didn't become indefinite. "If there are logistical difficulties with delivering an answer within 24 hours then it's reasonable to stretch it out," she said. "Certainly where there is an urgent need for medical treatment within a certain period of time, time is of the essence." Dr Phelps was also willing to consider limiting the new transfer rules to asylum seekers already on Nauru and Manus Island. "That might be something that we can look at. I'd have to again speak to the refugee sector about that," she said. "There's no question that the Australian people are demanding action for the current cohort." She was more cautious about the idea of giving the minister more discretion to veto the transfer of anyone with a criminal record. "You have to have a look at what the definition of criminality might be." She pointed out that in some countries from which asylum seekers had fled, they could have gained a criminal record for something like protesting against the government or, if they're a woman, adultery. Dr Phelps also did an interview with the ABC. "What I'm very keen to do is to avoid being in exactly the same position where we are now, where the minister has excessive veto powers and runs every serious medical case through the courts, only to find that the doctor's original recommendations were upheld," she said. Last night Labor's caucus decided to modify its position on the medical transfer of asylum seekers from Nauru and Manus Island to Australia. • The new medical transfer rules will only apply to asylum seekers who are already on Nauru or Manus Island - not any new arrivals. We don't yet know whether these amendments will be supported by crossbench MPs Adam Bandt, Cathy McGowan, Rebekha Sharkie, Andrew Wilkie, Julia Banks and Kerryn Phelps. Dr Phelps has said she will take a "level-headed, methodical approach". The government has made it clear it will not vote for the bill in any form, so Labor will need the support of all those crossbenchers.